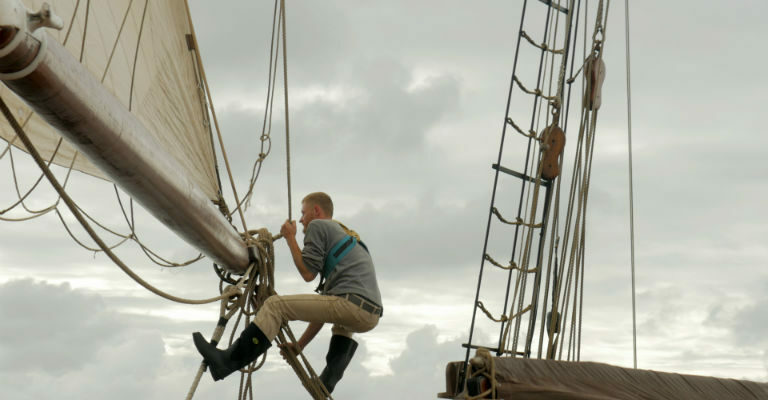 BEAM REACH BLASTING chronicles life aboard the Oosterschelde, a three-masted schooner, among crew and trainees on a 500 nautical mile sail across the North Sea. The film captures the sea and its changing sailing conditions as well as the everyday activities on the ship: physical work and downtime, social interaction and solitude, nocturnal and daytime life. The film is the result of an artistic collaboration between filmmaker Cecilia Stenbom and musician Chris Sharkey resulting in an experimental documentary, an audio-visual poem about a journey made possible by wind propulsion only.